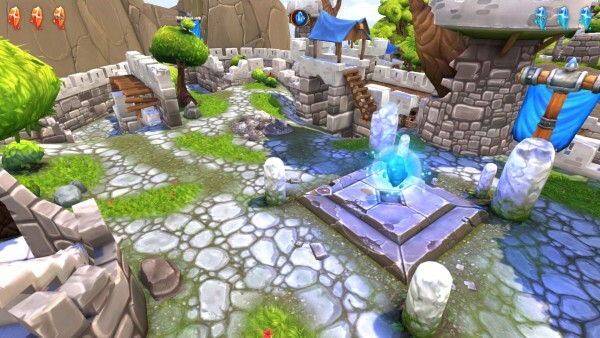 BattleSouls is one of the simplest introductions to arena combat I’ve ever come across. Three short slides of explanation and you’re able to jump right in. 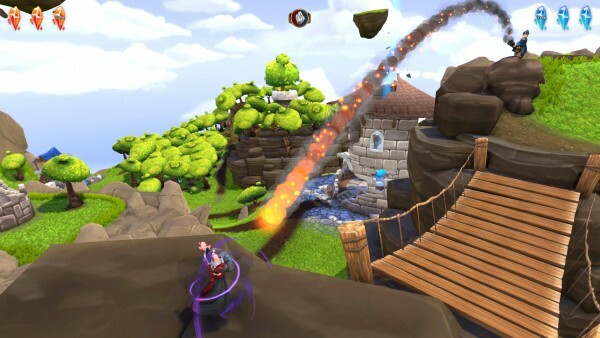 Taking cues from shooters and MOBAs alike, the game is a free-to-play that exists as a more accessible option for those of us who aren’t multiplayer vets of either genre. 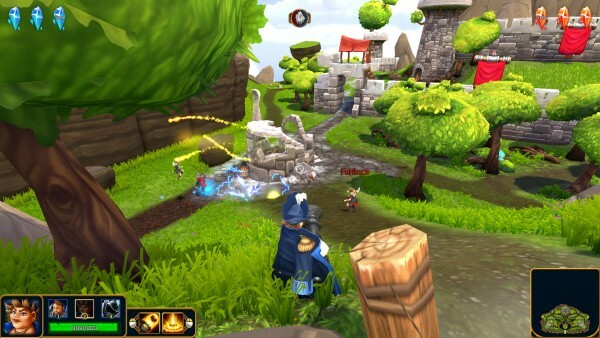 While BattleSouls certainly gives that jumping off point, it doesn’t seem to strive to move beyond. 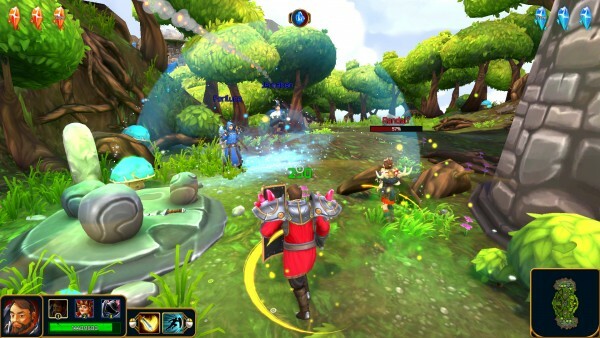 The game plays like a third-person shooter, but your goals are very much rooted in MOBA combat. In order to win all your team has to do is smash three of the enemies’ crystals. Unlike other shooters, the game has you pick three characters as your loadout rather than weapons. Don’t like being a healer? All you have to do is switch to your big gunner with a single keystroke. It’s an interesting twist and allows players to get practice in different roles, rather than sticking to damage or healing. Death is a serious penalty in this game as every time you die there’s a standard fifteen-second respawn. The game’s simplicity is nice, but it feels a little empty in its current state. The maps and characters all have a similar feel. There isn’t a lot of weight to the damage characters divvy out and it’s hard to figure out if you’ve killed anyone. There isn’t a reward for kills, the goal is the crystals, but the only indicator that you’ve succeeded in a firefight is your screen name in the corner and an easy-to-miss animation. I found myself only using two characters most of the time. The pirate heavy-gunner and the fairy-healer. Now and then I’d use the wizard that throws fireballs, but there isn’t a ton of use for the other types of characters when it comes to capturing the goal. On the bright side, you won’t have to spend much time figuring out the different maps and characters. It all works really nicely and the game runs quite smoothly. The cartoony graphics are fun and each character is given its own sort of look. It’s an interesting mash up of everything from the peg legged gunner pirate lady, to the teleporting cloaked death character. Trouble is, in a game where the loadout is three characters, having only five to choose from leaves little variety and loses its interest shortly after starting. As a free-to-play, the game obviously relies on microtransactions. The store is quite empty, with only a few death animations/pets/and some avatars, but there isn’t really anything to keep players attached. It seems like there’s a lot of space in the store for new options. The game needs to support itself with something, and while it’s nice that you can have a pet celebrate when you get kills, spending seven dollars in a game that doesn’t feel complete will keep players from wanting to invest in it. 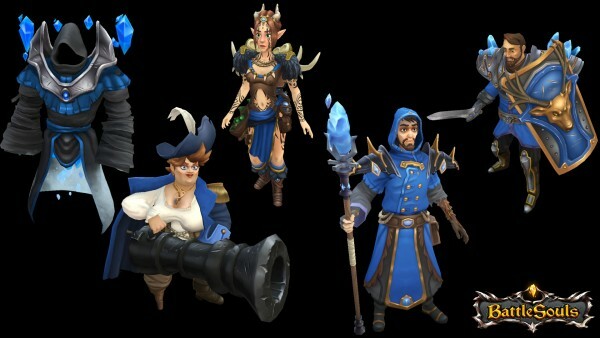 BattleSouls doesn’t feel complete. While the game lists itself as beta within the client, it doesn’t show itself as early access in Steam. The trouble with the game is that there is so little variety in everything. All of the maps feel the same. There’s a middle point to capture and directly across on either side are the teams’ crytals. Everything is bright and colorful and runs nice, but after an hour you’ve seen everything the game has to offer. There’s no progression system in place, there’s no items in the shop to personalize the characters, there’s just the core game. It’s not like it will cost you anything to give it a try, but it’s hard to recommend the game considering you’ll experience most of it in the same amount of time to install it.